A good view can do many things, but what it can’t do is make an ordinary meal great. There is no magic wand for that. You would think that’s an obvious point, yet it doesn’t stop many restaurants – particularly those in touristy areas – from using attractive vantage points as some kind of compensatory tool for sub-par cooking. It’s a theory that, stripped to its bare bones, assumes that if customers are going to roll-in regardless, then why bother even trying. As harmful as this philosophy is, it’s embraced by the overwhelming majority of Old Town addresses, which is why most residents of Warsaw leave eating in that area to witless tourists who don’t know any better. 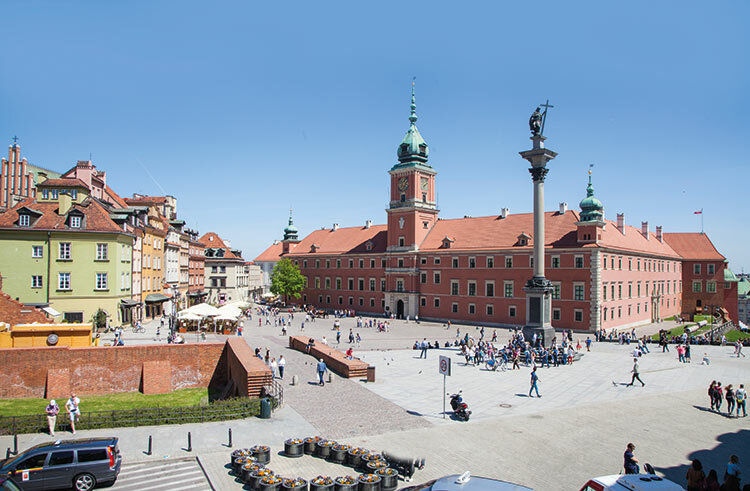 But hold the front page – in a revolutionary demonstration of foresight and logic, Warszawski Sznyt have realized that pairing outstanding views with exemplary cooking can reinforce a diner’s experience and make it truly memorable. Moreover, doing so broadens the potential customer base to include locals as well. Clever, huh? Set on two floors overlooking Pl. Zamkowy, the view that’s offered here is a step short of magic: with the windows open, and curtains billowing lightly in the breeze, you feel so close to the Royal Castle it’s as if you’ve been sucked inside a postcard. As ringside seats go, this one’s tough to beat. Looking in, and the interior isn’t too shabby either – chic and contemporary, the floor plan is high on space and light and sophisticated touches. Though physically close, it’s a world away from the cramped, darkened quarters that typify many of Old Town’s restaurants. But this, you understand, is not a place that sticks to the norm. While the menu looks familiar and understandable, the cooking is something special: assured but full of creative bursts, you suspect that the chefs involved have a fine dining background. And yes, you’d be right to do so. For Rafał Zaręba, the learning curve began at Atelier Amaro, while for Michał Węcławek, the CV features Salto. Together, they make a ferociously talented duo that strive for perfection and achieve it each time. 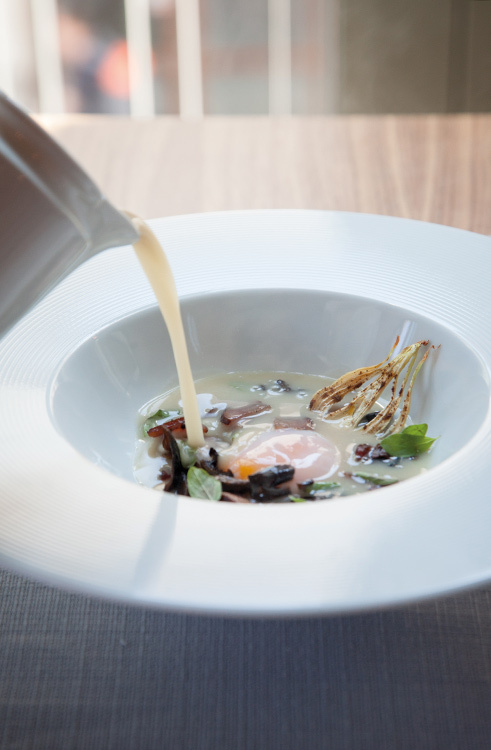 The first stride of their triumphant march takes in a żurek, a bold, revitalizing broth complete with wild boar sausage and a gooey, runny egg. Though I’d normally balk at ordering this on a blazing afternoon, there’s a delicate lightness here that suits the moment. The same can be said of a strip of tuna ceviche cooked in lemon / lime juice and served with sprinkles of powdered ginger. The secret ingredient is a splash of teriyaki that gives the dish a distinct tang and an Asian twist. 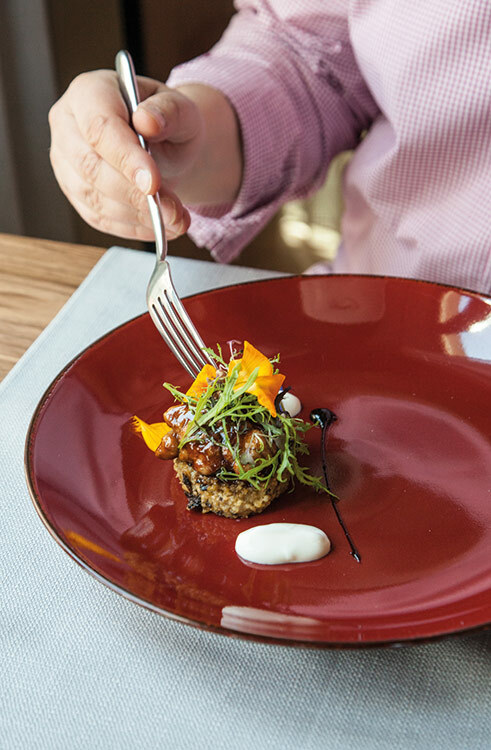 Clearly, there’s someone behind the scenes that knows about fish, for the salmon gravalax – marinated in tequila and honey – is equally faultless and builds a bridge that connects art with taste. Our mains pit duck and bull against each other in a head-to-head: the former, a duck fillet drizzled with ribbons of crispy salsify and presented on an arc of butternut squash puree, is a harmonious creation that’s vibrantly presented in a whirl of amber colors. 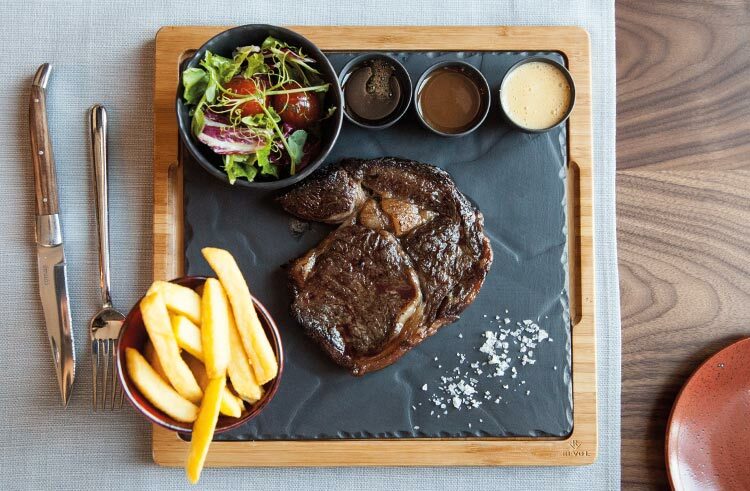 The bull, on the other hand, is served on a slate alongside a big bowl of hand-cut chips. There’s nothing dainty about it, and nor should there be: full of fleshy, brawny tastes, this is food that shouts masculinity.